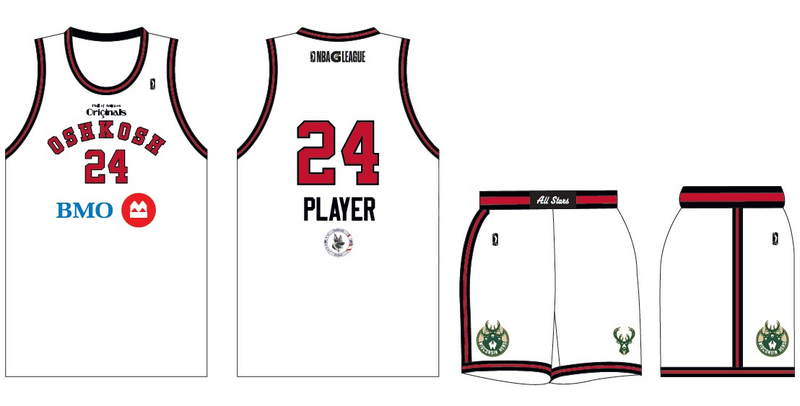 The Wisconsin Herd will celebrate the two-time National Basketball League World Champion Oshkosh All-Stars by wearing throwback themed uniforms, presented by Originals Mall of Antiques on Friday, Feb. 22. The game-worn jerseys will be available for auction during the Herd’s home games at Menominee Nation Arena tonight and Sunday, Feb. 24. Fans can also bid online at WHallstars.afrogs.org. Bidding is open now through Feb. 24 at midnight with all proceeds benefiting the Oshkosh Police Department’s K9 Unit. The All-Stars started as a barnstorming team in 1929. The team participated in the National Basketball League, a forerunner to the National Basketball Association, from 1937-1949. The All-Stars won the National Basketball League title in 1941 and 1942. Limited seats are still available to see these unique jerseys in action on Feb. 22. To purchase tickets, go to wisconsinherd.com or call a Herd sales representative at (920) 233-HERD.